Oh? 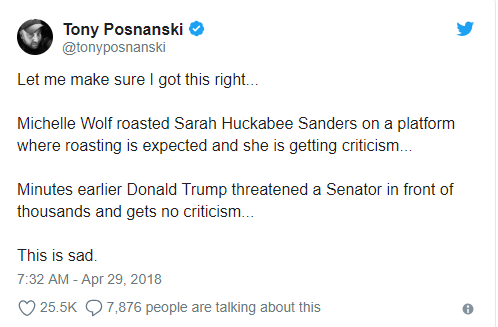 Michelle Wolf’s Jokes Offend You? 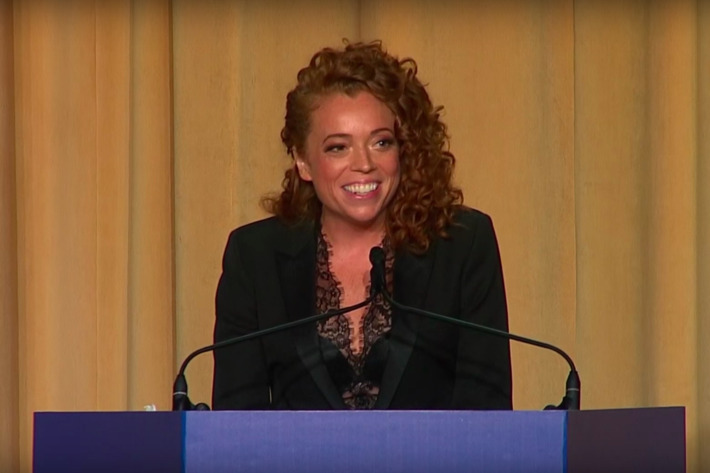 I didn’t know who comedian Michelle Wolf was before, but I know her now. And I think she’s right! 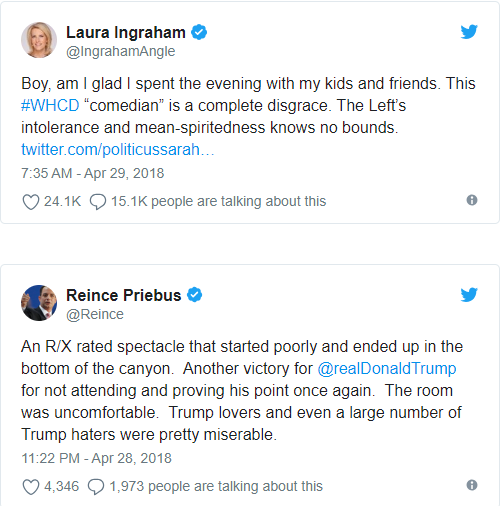 At Saturday day night’s annual White House Correspondents’ Dinner, Wolf flamed the Trump administration and its flunkies (since the president is too much of a punk to take the jabs himself), and conservatives the world over found themselves drowning in melted snowflake juice and white tears. She also skewered White House Press Secretary Sarah Huckabee Sanders, whom she called Aunt Lydia from The Handmaid’s Tale, but mostly a liar. Conservatives in October 2016: It’s just locker room talk! 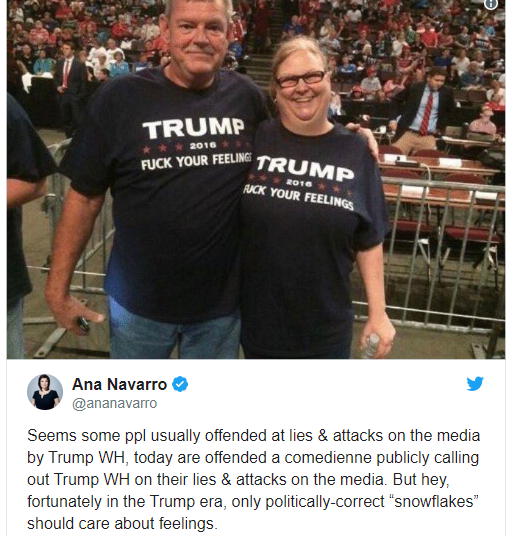 Conservatives in April 2018: This lady comedian is so vulgar! Oh shut up!! Scorn and mockery is all the people in that room deserved. In Trump words, they are “snowflakes” liquefy! !